Detroit based artist Karianne Spens-Hanna's work was featured with Aimee Cameron’s in our Summer Series beginning July 27, 2018. Learn more below about Karianne, the direction of her artwork and how art can be used as a healing process generations after trauma. Currently Resides: Detroit. Lives at the artist residency, The Forge. My work is based a lot on memory, healing, and exploration. What mediums do you normally work in? I mostly draw and paint, but I also work sculpturally, doing assemblage work with organic, found objects. Charcoal, graphite, encaustic, acrylic, watercolors, and resin are my to go to lately. Can you talk about your current process? Often while I work, I try to treat the process as an experiment. What happens when I put these elements together? How do these structures relate, and how can I represent an abstract concept through objects, lines, and color? Constantly working with new materials keeps me challenged and moving forward. How has your work and/or process evolved over time? Over the years, my work has been primarily figurative. My interest in anatomy and physiology comes out in my work and I enjoy the challenge of abstracting my hyperrealistic drawings and painting. Finding patterns between our bodies and our environment has always been an interest of mine, because it can demonstrate that we are all made of the same elements, and we are not separate from nature; we are part of it. My work has evolved to be more loose and abstract, with a dream-like quality, but I’m still using the intricacies of the human body to inform my current work. Being outside always gives me ideas and is very grounding, so being in nature and sharing that experience with others inspires me greatly. As I’m diving into my art therapy career, I’m becoming more interested in neurobiology and what happens to us during the creative process. That being said, I am inspired by helping people tap into their own creative potential and the subconscious material that emerges as a result. I think that human beings are fascinating, so trying to figure people out through their art is beautiful to me. I am very excited about this new body of work I will be showing this week at M Contemporary. It relates to memories and the generational effect of our experiences, specifically trauma. When someone experiences a traumatic event, the circuitry of their brain is changed, which can alter our actual DNA. There are some studies that say we can pass down the effects of our trauma. This idea of experiences and epidemiology has emerged as a theme in my work since finding my great grandmother’s house in Detroit. 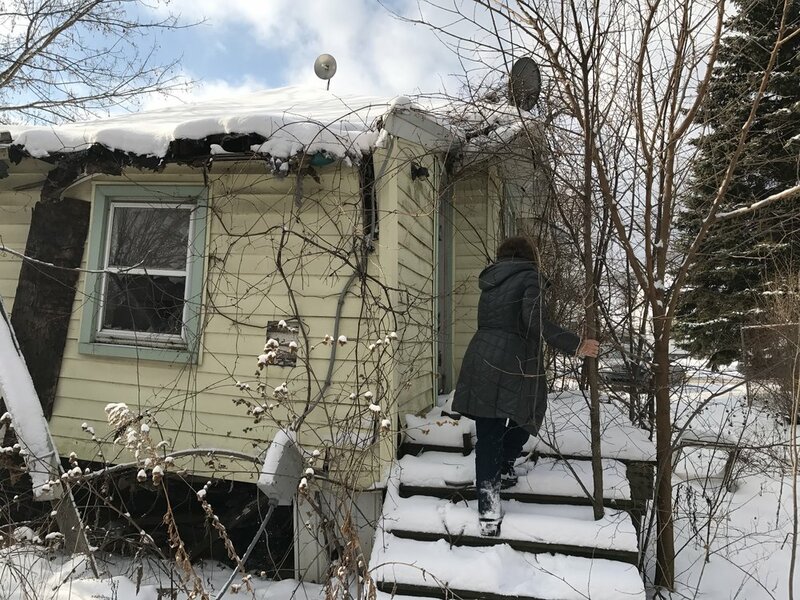 The abandoned property ended up being seven minutes away from where I stay, and seeing the house, hearing my mothers memories (of my great grandmother in particular) and knowing the pain that occurred there has sparked a body of work that deals with family mapping and healing. In this body of work, I am using things I found in the house and old photos of my mother, grandmother, and great grandmother to tell parts of their story. Art can be incredibly healing, so it’s my intention to create an energetic container with my art for the women in my lineage. Women didn’t talk about what they went though back then, but I can create art for them now, celebrate their strength, and in a sense, give a voice to what they couldn’t say. Is there something you hope the people seeing your work will take away? I want people to feel inspired to create. I want them to feel the meditative quality of my work. I want them to walk away with a sense of healing. Piece of advice: Create something. Book: I can’t choose one favorite, I love so many! But if I were to pick one that had a huge impact on how I see the world, I would say the Celestine Prophecy. I read it in 7th grade and it shifted my perception of the world and I still recommend it to friends. My family farm where I grew up, where I have spent countless hours riding horses, and deepening my love of nature, is now an artist residency, The Lewis Farm Retreat. Much of my work is created there, and I am looking forward to sharing this beautiful, inspiring place with other artists. Providing this space for people to create connects my endeavors to help people heal through art and nature.